© 2018 Automotive Finance Corporation. All rights reserved. S P E C I A L I Z I N G I N U S E D I N V E N T O R Y F I N A N C I N G Own the inventory. 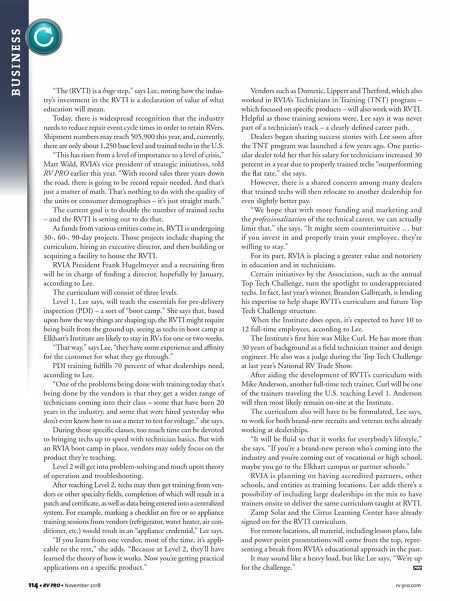 It's time to break away from the "consignment" business model and control your own fleet. 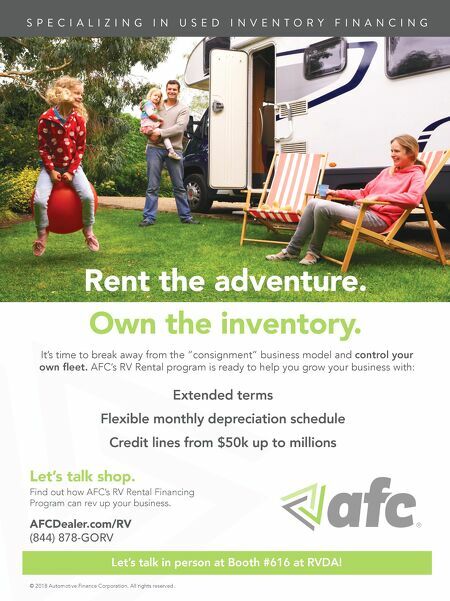 AFC's RV Rental program is ready to help you grow your business with: Rent the adventure. Extended terms Flexible monthly depreciation schedule Credit lines from $50k up to millions Find out how AFC's RV Rental Financing Program can rev up your business. AFCDealer.com/RV (844) 878-GORV Let's talk shop. Let's talk in person at Booth #616 at RVDA!